As of OS 2.9.0 Control4 introduced the new webview driver. This webview driver allows Control4 T3 touchscreens to display a webpage for interaction with the customer. We have taken advantage of this architecture to develop some custom applications for the T3 touchscreens. 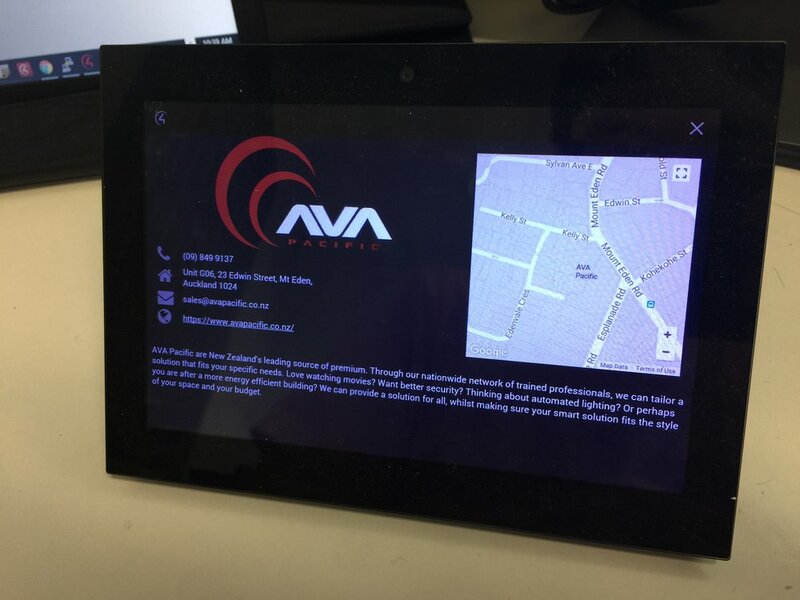 The Contact Us webview driver for Control4 provides dealers with a professional looking contact us page on the T3 touchscreen with customisable company logo, company contact details, google map and clickable URL to the company website. This adds the final touch to a professionally installed system and provides dealers with a cheap way of marketing their company to people who utilise the touchscreen. Summary section can be used to market your company, put installation specific instructions or anything you want.